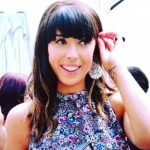 Kirsty is a Senior Digital Content Editor with over nine years experience. She currently looks after all things celebrity on CelebsNow and Woman. Before joining TI Media, Kirsty enjoyed a stint in Los Angeles working for a news agency and before that was Head of TV & Showbiz at the Daily Express Online for five years. When she’s not obsessing over showbiz news, she’s usually listening to David Bowie, drinking an Espresso Martini or watching Netflix!